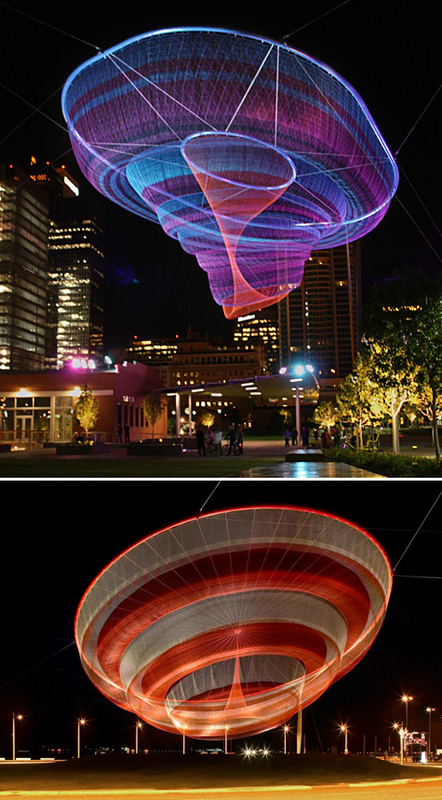 Janet Echelman transforms open air with her glowing, lacy installations made from polyester fiber. 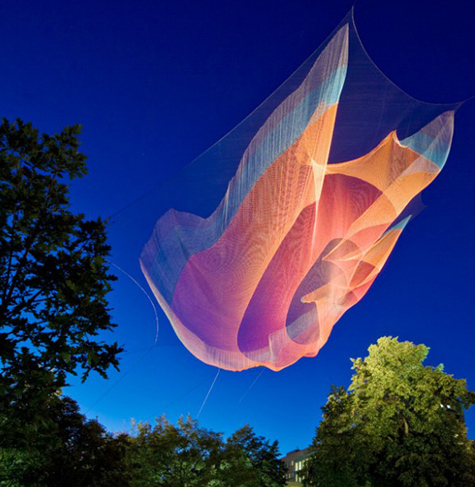 Her volumetric work is monumental and overwhelming. The permanent and temporary projects draw inspiration from ancient craft and modern technology.